The Men’s Habit Denim is a lightweight canvas shoe that provides all day comfort and style. 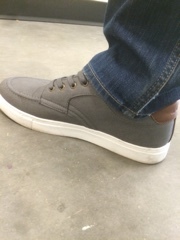 Lugz Habit Denim Canvas Shoes are the perfect casual shoe! My husband loves shoes almost as much as I do so he's always on the hunt for the perfect pair of casual shoes. 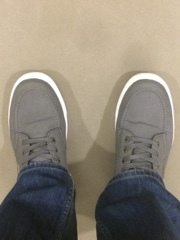 Lugz Habit Denim Canvas Shoes are also incredibly stylish but more importantly they're also extremely comfortable says my husband. 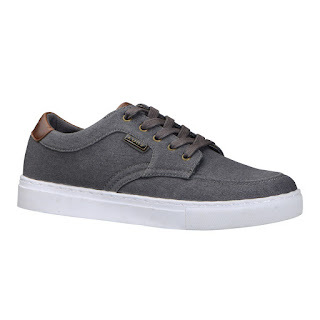 Lugz Habit Denim Canvas Shoes go with just about anything which makes them extremely versatile. They also have a Flexastride memory foam insole as well as a Cushioned insole for comfort. Lugz Habit Denim Canvas Shoes would make an awesome gift this Father's Day! Click HERE to find a store near you that sells Lugz! Click HERE to learn more about Lugz! Follow Lugz on social media!